Lennox would have been 8 years old today. Please remember him. Lennox brought many amazing people together, opened millions of eyes to the cruelty of Belfast City Council and Breed Specific Legislation, helped many other animals through his own sacrifice and continues to do so through each of you. 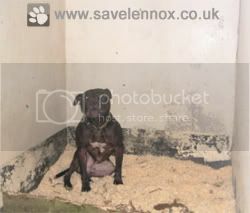 Lennox’s own death and treatment caused Northern Ireland’s devolved government to finally sign and bring in the exemption scheme which had previously only been debated over previous years, the introduction of the exemption scheme in Northern Ireland then allowed many dogs to return home to their families even though Lennox was never to see his family again or another birthday.